With summer fast approaching, there’s no better time to get your beauty routine sorted. It’s time to refresh your hair colour, book in for a sandal-worthy pedicure and get your smile sorted for the party season. 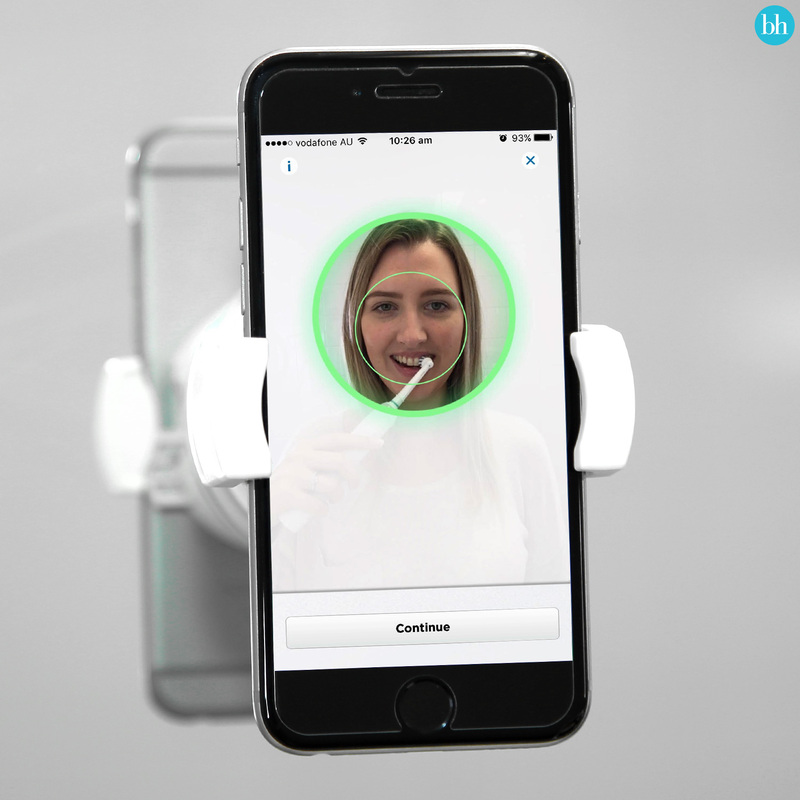 But don’t dial the dentist just yet – there’s a new method of teeth whitening that you can do in the comfort of your own home. The Oral-B GENIUS Rose Gold electric toothbrush makes getting gleaming pearly whites so much easier, thanks to the dentist-inspired 3D White Whitening round brush head. 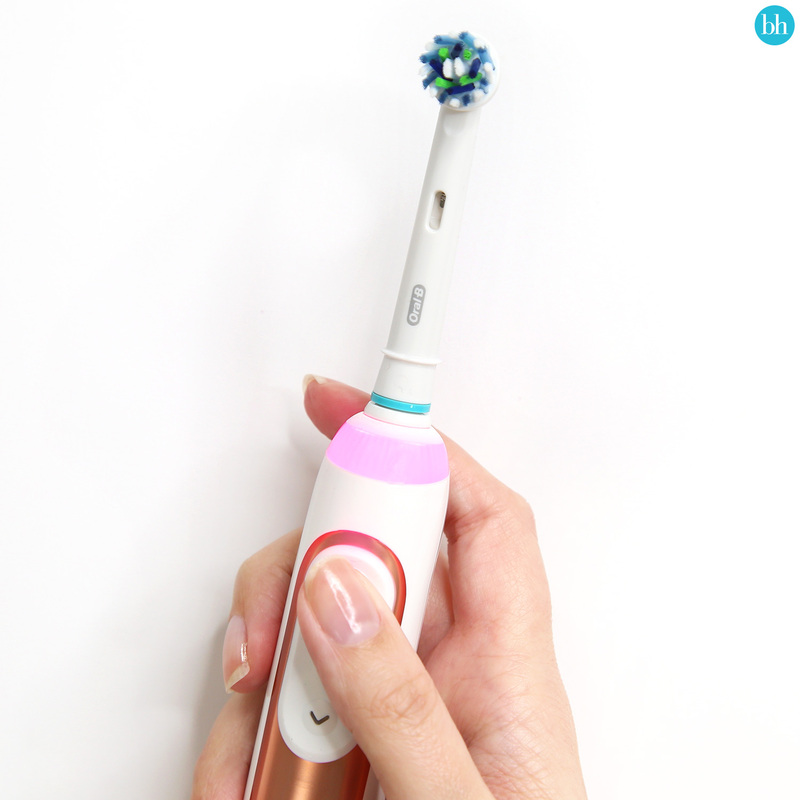 Don’t be fooled by the sleek design and on-trend rose gold hue – this toothbrush is much more than just a pretty face. 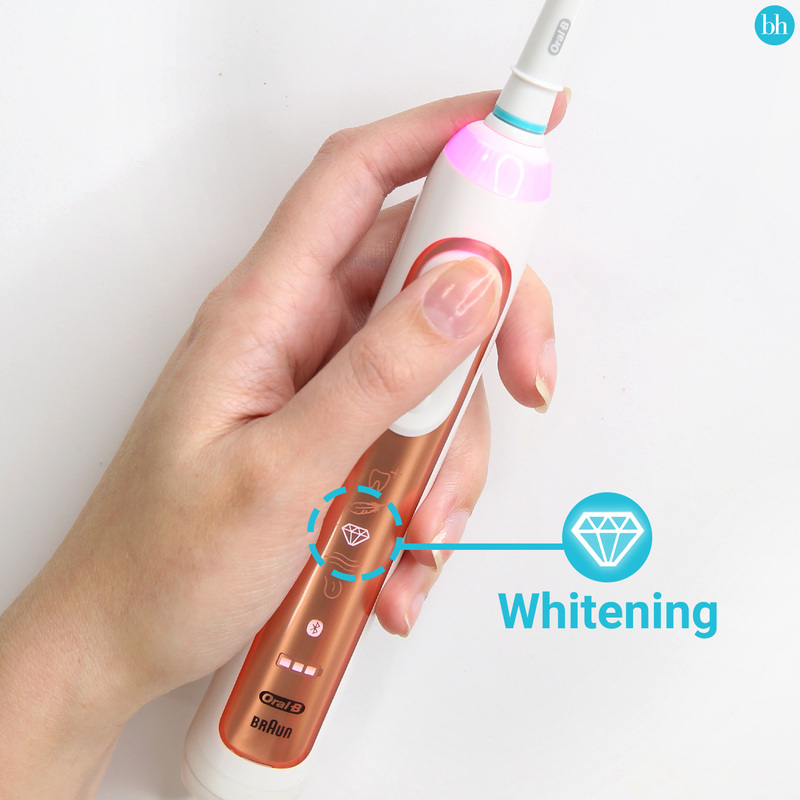 The brush also has position-detection technology and a dedicated whitening mode that helps you get whiter looking teeth from the very first day you use it. To help you boost your smile this party season, we’ve rounded up the best tips for at-home teeth whitening. Electric toothbrushes come with different teeth-cleaning modes or settings, that are designed to be used for different results. If you have sensitive teeth, for example, you probably don’t want to go straight into a heavy-duty cleaning mode! The same goes for whitening: by switching to a dedicated setting, your regular clean can be stepped up to include extra polishing. Not all electric toothbrushes have a whitening mode, so it’s definitely something to look for, if this is important to you. 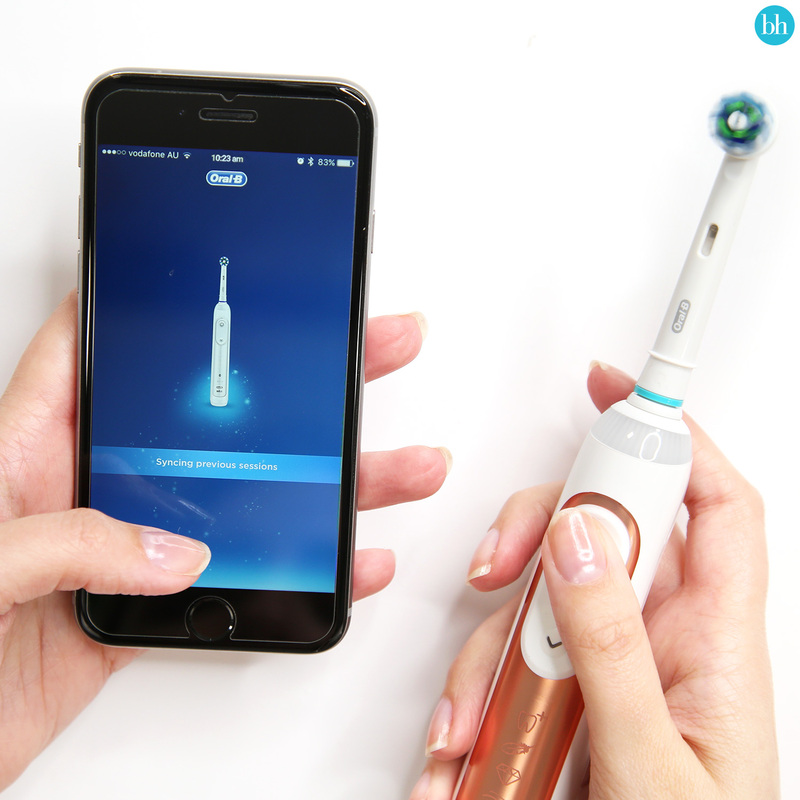 Luckily, the Oral-B GENIUS Rose Gold electric toothbrush has six modes to choose from, with the standard cleaning mode plus five other modes on the display. Likewise with the brush itself – some are made for giving those pearly whites an extra gleam. The rounded contours of the Oral-B Genius Rose Gold brush, for example, mean that it can hug the rounded surface of your teeth, to really make short work of surface stains. The brush is also designed with a dip in the centre to hold toothpaste and distribute it more evenly across all your teeth. Studies* show that when used with the Oral-B 3D White LUXE Glamorous White Toothpaste, users can expect to see a brighter smile from the very first day of use. 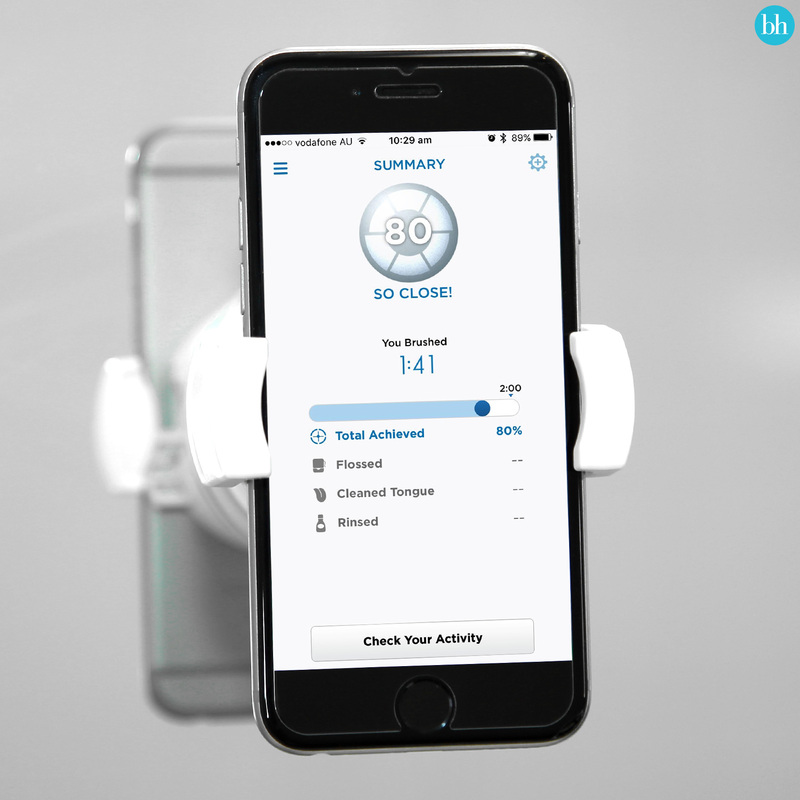 Open the Oral-B App 5.0 on your smartphone. 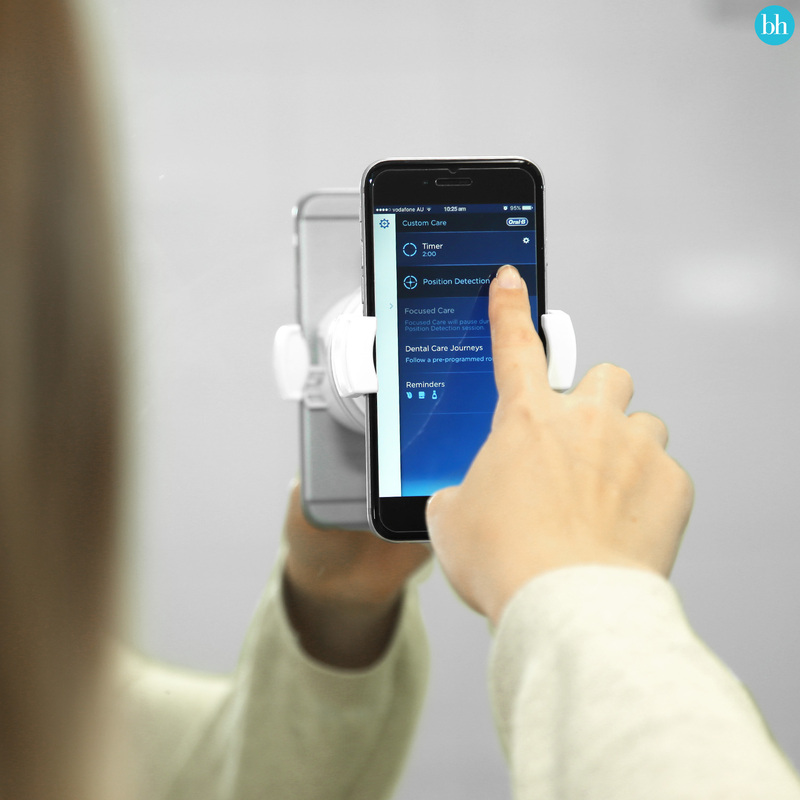 Once you’ve turned on your brush, the Oral-B App 5.0 connects and syncs seamlessly with your phone. 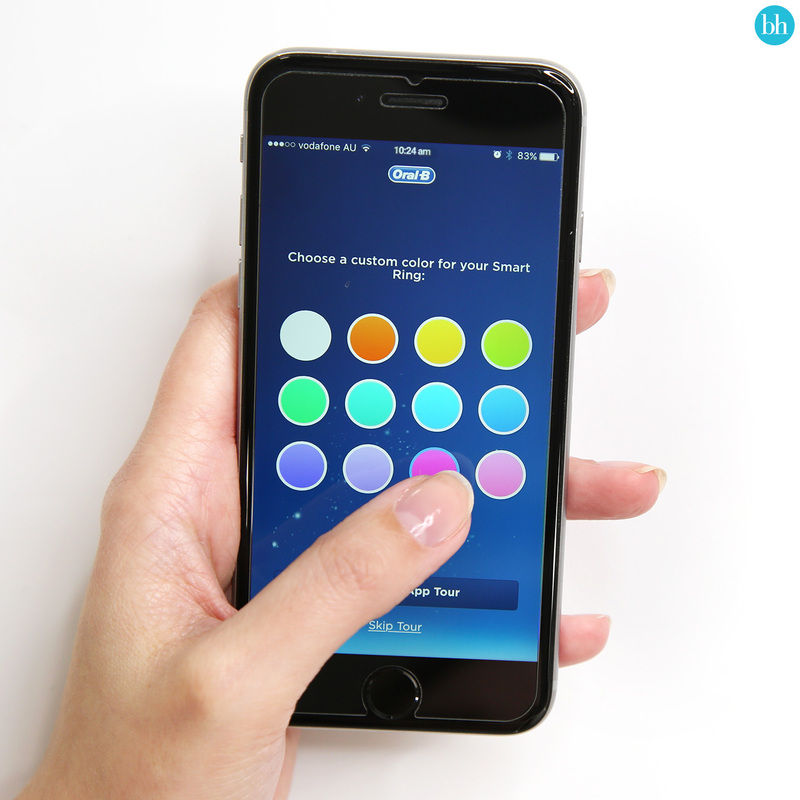 Use the app to select a shade for the sensor ring on your brush. The sensor lights up to give feedback on your brushing style. On the brush you can choose from six modes, each with a different objective for your oral health. For a brighter smile, select the whitening mode. Attach the phone holder to your mirror. 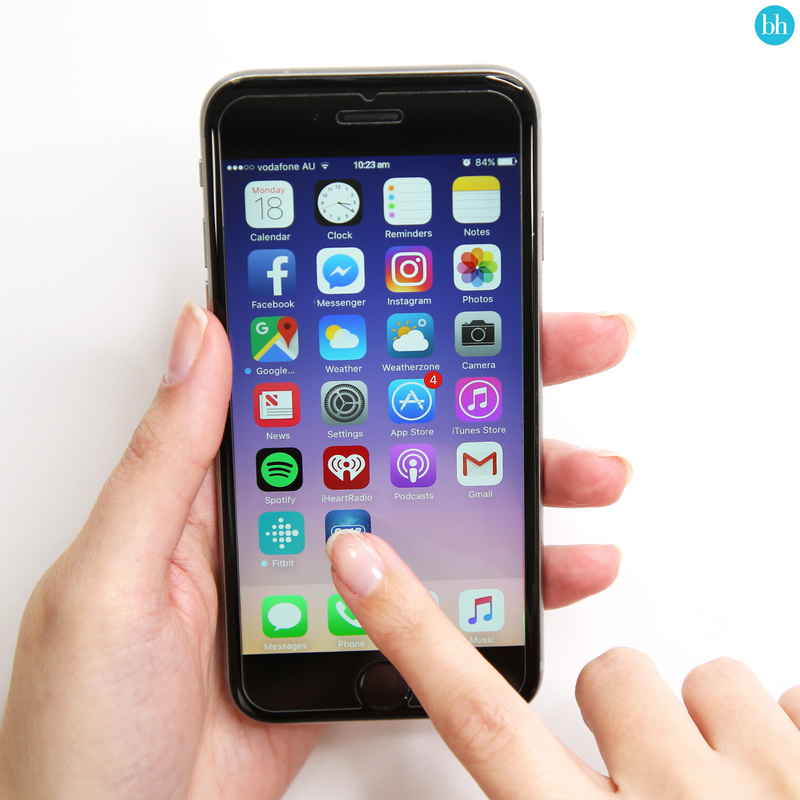 On the app, you can choose the duration of your journey, how often and how long you’d like to brush for and select the areas that need the most attention. Brush your teeth and follow prompts to achieve the best clean. The app and brush come with Position Detection, so you don’t miss any hard-to-reach spots in your mouth. View your brush summary to see how well you did. Check out your brushing activity with tips for how to improve next time. Now you’ve got your brighter, whiter smile, here are a few tips to ensure that you’re always flashing those pearly whites. It goes without saying that certain foods and liquids will make their mark on your teeth. Try to combat this by selecting lighter-coloured options where possible. Coffee, tea, berries, sports drinks and tomato sauce are all common culprits when it comes to teeth stains, so try to avoid these as often as you can. Now that you’ve got your new toothbrush sorted and you’re well on your way to #whiteteethgoals, it’s time to pay it forward. After all, you’ll be hard-pressed to find someone who doesn’t want a brighter smile, and a recent study* has shown that the Oral-B Genius Rose Gold electric toothbrush is proven to remove surface stains and up to 100 per cent more plaque than a regular manual toothbrush. If you’re considering Christmas gifts, the rose gold colour will appeal to your trendy bestie, while the gadget-lovers in your life will appreciate the innovative technology. Win-win! Do you use an electric toothbrush? Is teeth-whitening a concern for you? *Results supplied by Oral-B – 100 participants after 6 weeks of use. I don't believe this will keep my teeth white not that I've tried it but I don't believe it will. I've tried Colgate's newest toothpaste that dentist's have in their surgery it's ok but not a real improvement I believe these are all gimmicks. I wasn't aware that about tomato sauce & berries considering I've these juice on the other hand too much sugar not good for teeth but staining it highly unlikely. Juice and coffee, cola too can be bad for your teeth. Thanks for showing us how it works step by step. Appreciate that sort of demo as it gives me a visual idea as to whether I would use it. Always need solutions for a whiter teeth as I'm a tea drinker it tend to stain it. I use a Philips electric toothbrush and it must be working as my dentist continually praises me on how well I look after my teeth at my age. Whitening is a big concern for me and the fact that I am a huge tea drinker of course doesn't help. I have just a basic oral b electric toothbrush but this one looks like it is worth upgrading to. Unfortunately I am a regular coffee drinker so teeth whitening is definitely a concern for me as it is really hard to find something that works to get rid of those pesky coffee stains. That toothbrush looks amazing. I have an oral b electric toothbrush at home but I am yet to use it, because I still have dozens of normal toothbrush! Maybe one day. I have been using an electric toothbrush for many years. They really do clean teeth better than a manual toothbrush. No need to spend lots though, the cheaper Oral B works really well. Using my phone to check my brushing ? I don't think so ! Having "over white teeth" no thanks. I often notice others whose teeth are super white and the teeth always look like false teeth. Have tried a few different whitening toothpastes and didn't think they worked. I don't want to have the dentist do it. If only it was affordable. I'd love this - I need a new toothbrush! I think electric toothbrushes are a great advantage over manual toothbrushes. I made the switch years ago and I'm very happy I did. This toothbrush, however, doesn't appeal to me. A lot of the features seem gimmicky and I did a fair bit of research into the different models on the market over the years before purchasing (and then upgrading) my electric toothbrush and there are comparable and superior features in other models. I have a previous model of an Oral B electric toothbrush. It cleans my teeth, I can take it travelling for a week without recharging and that is enough at the moment for me. Coffee and tea are my main culprit and Im not too happy giving those up completely just for the sake of 'whiter teeth'. I look after my teeth anyway. Many years ago no one worried about bright white teeth so why should we feel bad if our teeth over the years do get a little discoloured. I think it's so sad and exhausting that these days we get told what we should look like. All this advertising is well and good but please let us be normal people and don't make us think WE HAVE TO HAVE THIS. I have brushed my teeth TOO WELL over the years and suffer from deteriorating gums now. I use an Oral B electric toothbrush and a whitening toothpaste so my teeth are being taken care of. Hot damn, that's brushing in 3018! omg, that coral lippy is stunning on the girl in the intro pic! I’d like the app to see how I’m brushing and making sure I’m not missing anywhere, I already have bad teeth so any help is an advantage. Pretty sure we all already use our phones too much! Now our toothbrush?! No thanks. I think this is a great idea but we need a break from our phones! After reading all about the rose gold toothbrushes on the forum, I went out & bought a cheapie Oral-B electric toothbrush. I love it & I wish I'd converted to electric toothbrushes sooner. I'm not giving up coloured food for the sake of teeth whiteness though. Wow this looks so cool but not sure it would practically fit into my rushed routine. I can definitely recommend this toothbrush! Best thing I have discovered this year so far. I love that technology is getting so much better, particularly for things like this! Man, regardless of what I do, I come apart when it comes to my food. Blueberries are the best fruit option for antioxidants, vitamins and all the other goodies but it's no good for my teeth! Dang it! Love, love my Oral B electric toothbrush. I would rather the electric toothbrush work on its own rather than relaying on an app. I have a Babyliss ipl that works this way and its really annoying. That's a fascinating app. I don't use an electric toothbrush but I love the look of that Oral B one! I use an electric toothbrush and find it does an excellent job cleaning my teeth so whitening isn't a huge concern for me. Getting regular cleanings from the dentist plus good brushing keeps me happy with the look of my teeth. I think people sometimes go overboard with the whitening and it looks strange. Especially as you age - bright white teeth can look very odd.